First, we will use the iTero® digital imaging system to gather a series of detailed pictures of your teeth and gums. Using these items, we can create a 3D model of your smile. Using the model, we can make accurate measurements of your smile, which aid in the design and fabrication of your new appliance. A custom fit means greater comfort and more accurate treatment, helping you enjoy better oral health. TMJ disorder occurs when the jaw joints undergo excessive strain, causing problems opening and closing your mouth. Bruxism means you grind your teeth regularly, which weakens your teeth and leads to serious complications. Both disorders may cause jaw pain, headaches, facial discomfort, and lead to worn, cracked, or chipped teeth. A custom mouthguard can help treat these disorders. For example, the oral appliance helps reposition the jaw to ease jaw joint strain. If you grind your teeth, the appliance provides a barrier between your upper and lower sets of teeth, a barrier that prevents further damage to your smile. 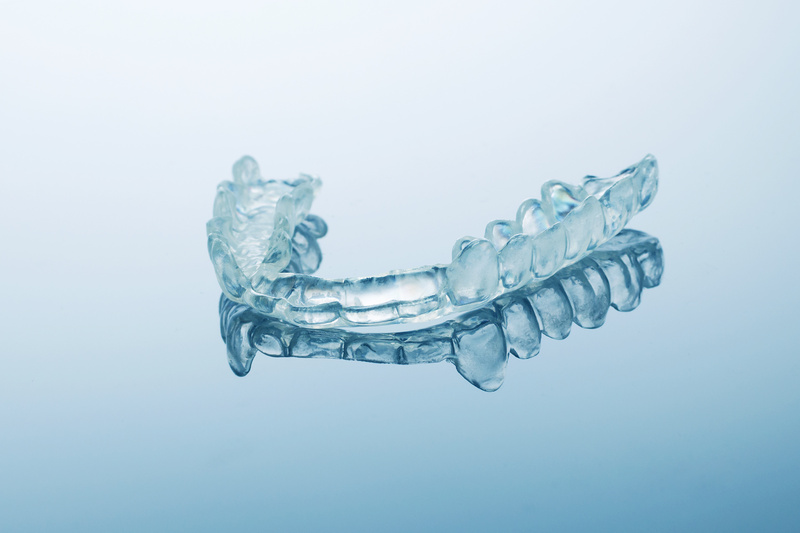 We may also use a device to help address sleep apnea or improve alignment. Often, sports and other physical activities could lead to teeth becoming chipped or cracked, or even knocked-out completely. Treating damaged teeth is crucial for avoiding tooth decay and infection, major factors behind tooth loss. However, what if you could help prevent the onset of injury? With a custom mouthguard, you can protect your teeth from injury during athletic activities, with greater protection then your typical boil-and-bite store bought options. If you have any questions about treating preventive oral health issues, or about safeguarding your smile from injury, then please contact our team today. We want to help you enjoy optimal oral health with a comfortable and custom-made treatment option. Ready for a Custom Preventive Treatment? Don’t live with headaches and jaw pain. We want to help correct jaw joint disorders and other oral health issues with a comfortable and custom device. For more information on our custom oral appliances, or any of our other treatment options, then schedule a consultation by calling Modern Smile in North Hollywood, CA, today at 818-763-9353. We also proudly serve patients who live in Burbank, Toluca Lake, and all surrounding communities.